San Diego Comic Con is officially one month away. As I prepare for what I think is my ninth year attending, it seems that things have scaled back a bit, and that is a good thing. The off-site calendar isn’t filling up as quickly as it used to, the waves of exclusives seem to be smaller (Funko is the exception of this), and the overall buzz seems a bit quieter. I am not sure if this is due to the growing convention industry or due to companies not seeing a return on their SDCC investments. Royal City #4 – This series continues to get better and better as we explore a family that is haunted by the loss of a child/brother. I am not sure there is another author who better captures the emotions of family and struggle like Jeff Lemire. He hinted at a big shift in this series at issue six and I am completely intrigued. Patrick Pike is still struggling with his return to his hometown following his father’s stroke. He was a successful author, but his second book was a flop and he isn’t making any progress on his next book. His family has a wealth of issues they are dealing with as well, but the central theme of the loss of Thomas, when he was only 14, is haunting every family member. They all have visions and communicate with him, hoping that he can provide guidance as they struggle to recapture what they had back when he was still alive. I absolutely love Lemire’s more personal titles and cannot recommend this one enough. 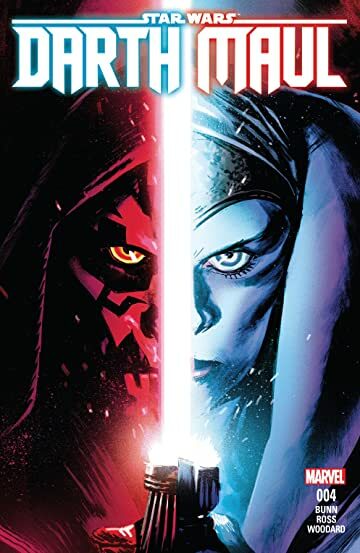 Darth Maul #4 – I love the twist that Cullen Bunn provided in the last issue. Maul was successful in kidnapping the Padawan from auction setting up what sounded like a fun duel, only to be duped by the host of the auction who shot down their vessel and invited the other attendees to hunt them for sport. Maul is forced to team up with the Padawan and the two make quite the impressive team. It only serves to make Maul even hungrier to kill the Padawan, but there is no question that a feeling of mutual respect lies between the two. Despite this, Maul understands that he must not risk being found out and spoiling the fact that the Sith have returned. It looks like we might finally have our duel soon. 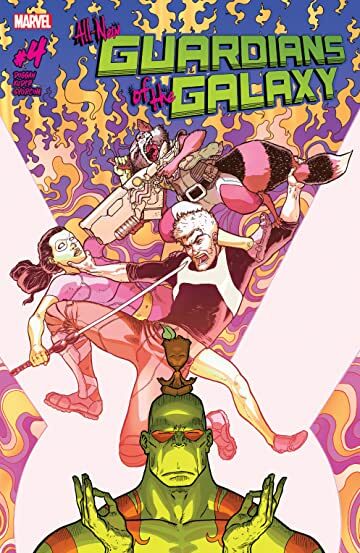 All New Guardians of the Galaxy #4 – I continue to really enjoy Gerry Duggan’s run with this group of misfits. I will admit that I know little about The Collector, but from what is revealed about him in this issue I have high hopes that he will have a meaningful appearance in one of the MCU movies in the near future. We learned that a piece of Gamora is trapped in an infinity stone and in this issue she strikes a deal with The Collector in hopes of tracking down the elusive stone. Drax is still not destroying and Rocket is getting quite fed up with the rest of the crew. Throw in what transpires at the end of this issue and I am beyond thrilled to see where this is headed. This series is a lot of fun and one that I highly recommend to anyone who enjoyed the films like I did. Daredevil #22 - The second issue that serves as a bridging Daredevil back to New York and Hell’s Kitchen reached its conclusion today. Daredevil successfully took the stand at a trial without once again revealing his secret identity to the public undoing what the Blue Children had done for him. While it is a simple little issue that was ok, it serves as a nice transition to the return of Kingpin and a return to what seems like old school Daredevil. 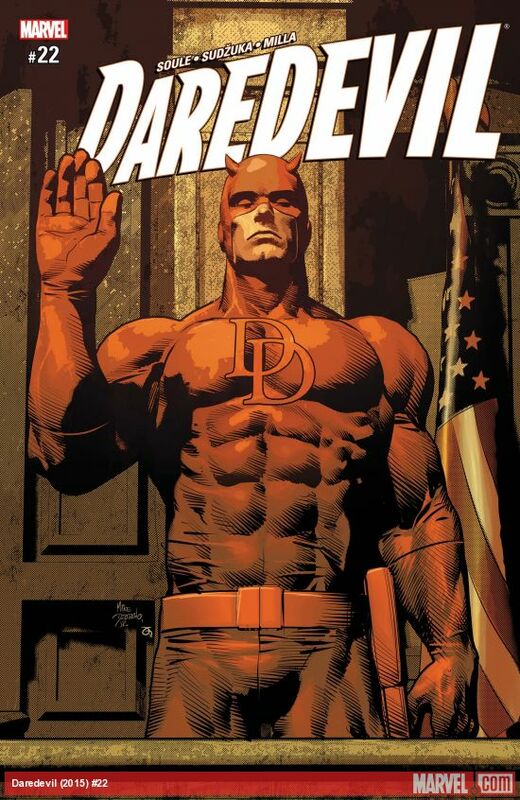 Charles Soule has done a great job writing this series and I am looking forward to his take on classic Daredevil.